Crypto has become one of the most controversial topics facing the financial services industry, and has now taken many forms beyond just Bitcoin, which started it all. 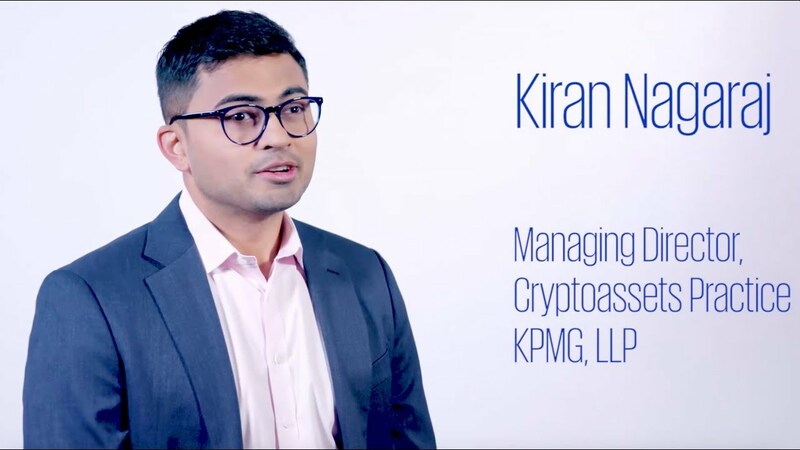 Kiran Nagaraj, managing director for KPMG’s Cryptoassets group, is a believer in the future of crypto but says many challenges lie ahead. Nagaraj is the author of a new KPMG report, Institutionalization of Cryptoassets, in which he says that without institutionalization— large scale participation by emerging and traditional financial services companies — crypto may not succeed. “Crypto has many use cases, but in order to succeed, institutionalization is a necessary next step to help drive growth for the tokenized economy,” says Nagaraj. Some of the key issues facing the future of cryptoassets, according to Nagaraj, include adoption, regulatory compliance, cybersecurity, accounting and tax compliance. Nagaraj has been working in this space for the past four years, and has advised a number of advanced cryptoasset and blockchain companies and projects on opportunities and key risks. He is actively supporting the industry-wide development of standards and guidelines for the adoption of cryptoassets and blockchain, in partnership with industry associations and trade groups. Nagaraj is also responsible for service and product innovation using emerging technologies. He has significant experience in technology strategy, operations and risk management with global financial services clients in North America, Europe and Asia. Nagaraj is a frequent speaker at conferences hosted by technology and industry associations, including Consensus 2018. His recent publications include “Securing the Chain” and “Institutionalization of Cryptoassets.” His work has been featured by leading publications such as Business Insider, MIT Review, Forbes, CIO.com and others. To set up an interview with Nagaraj on cryptoassets, please contact Pete Settles @pgsettles on twitter. Download the Institutionalization of Cryptoassets report.